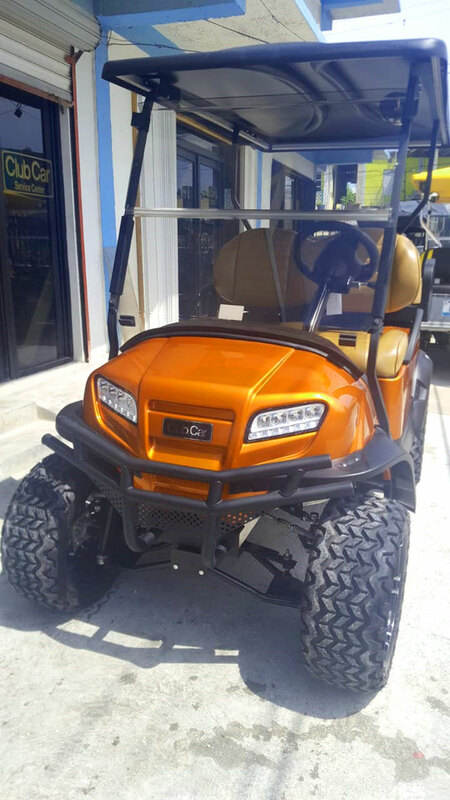 We are an Authorized Club Car Dealer in Belize. 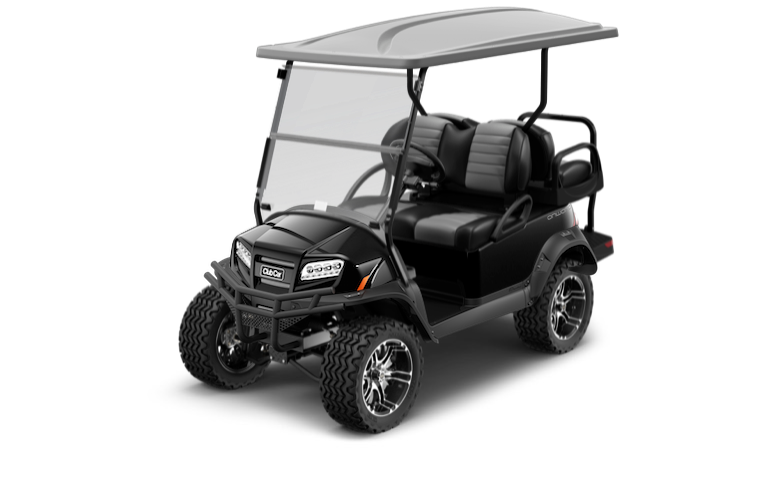 We offer the newest gas golf cart models, golf cart parts and accessories. 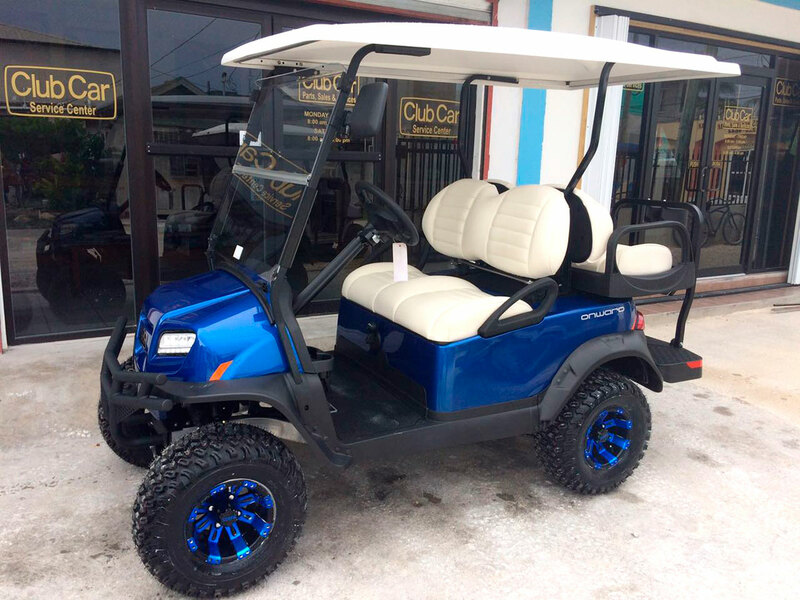 Visit Captain Sharks Club Car Golf Cart Center to purchase New Gas Golf Carts. 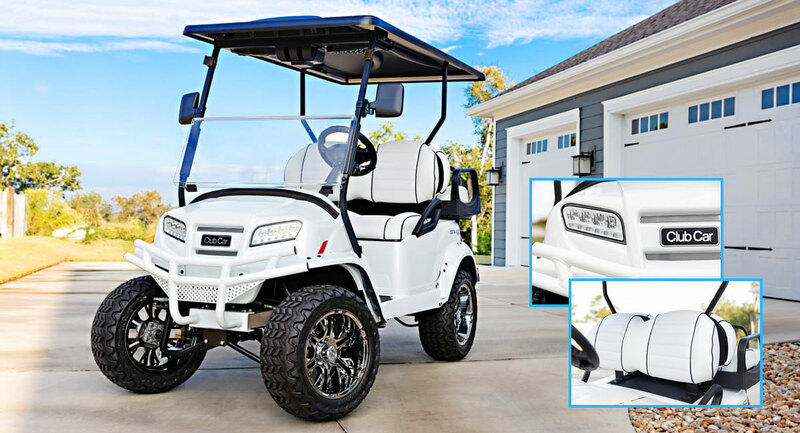 We carry Club Car Golf Cart parts and an array of accessories for your carts. We also do repairs and maintenance. 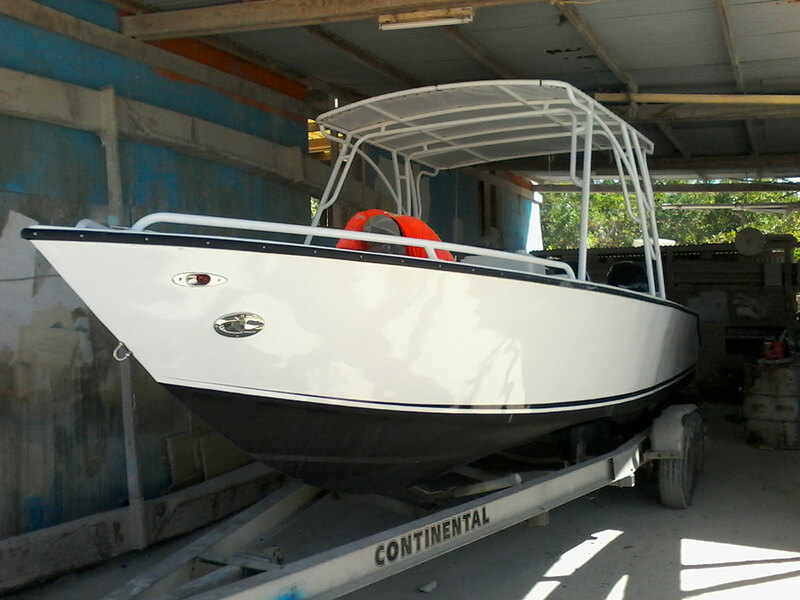 Captain Sharks Boatyard can build customized boats from our own boat models. We can customize a boat with all the trimmings that you would need. 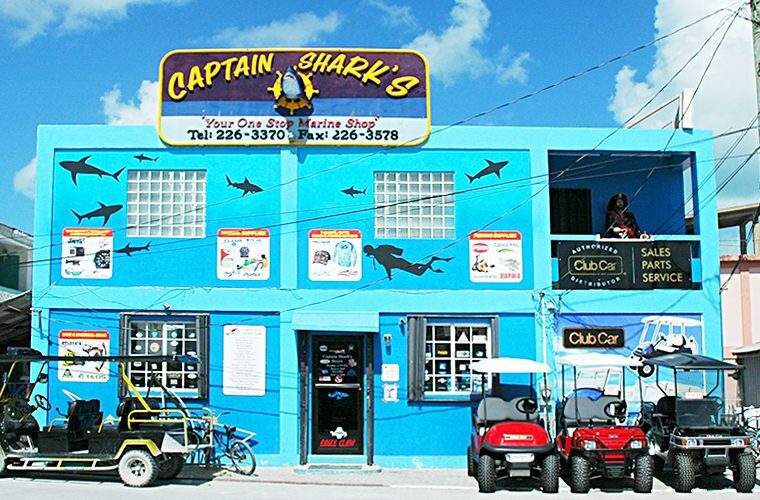 Whether you require a new Club Car vehicle to get you places on the island or replacement golf cart parts and accessories for your existing Club Car, Captain Shark’s has it all. 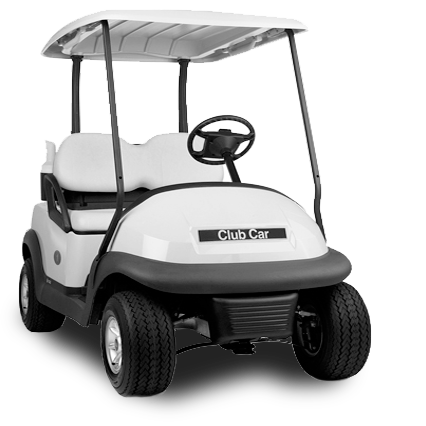 Our full range of new Club Car vehicles offer you a variety of 4 and 6 seater standard or utility options. We also sell used or refurbished golf carts. 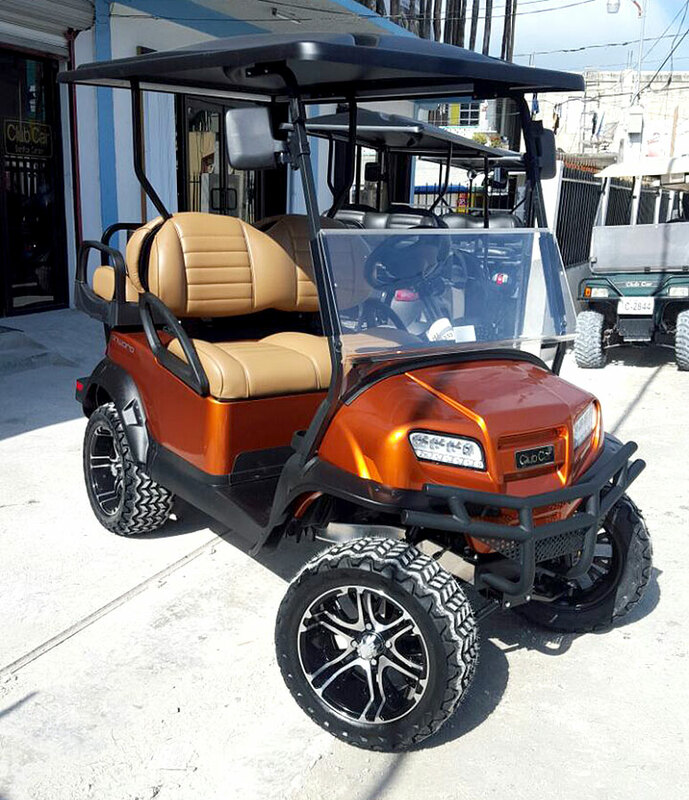 Compliment that with our custom accessories such as rims, bush bars, lighting and audio and your Club Car is sure to stand out from the rest! 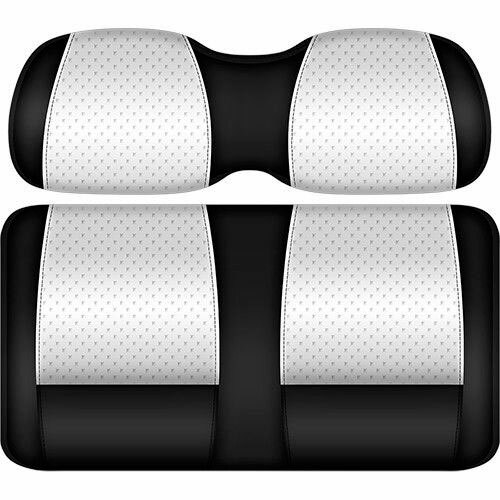 Need a replacement part for your Club Car? We have that too! Any part, big or small, that you need to repair or improve your carts performance can be found at our Club Car Parts Department located across from the Maya Island Air San Pedro Airstrip. 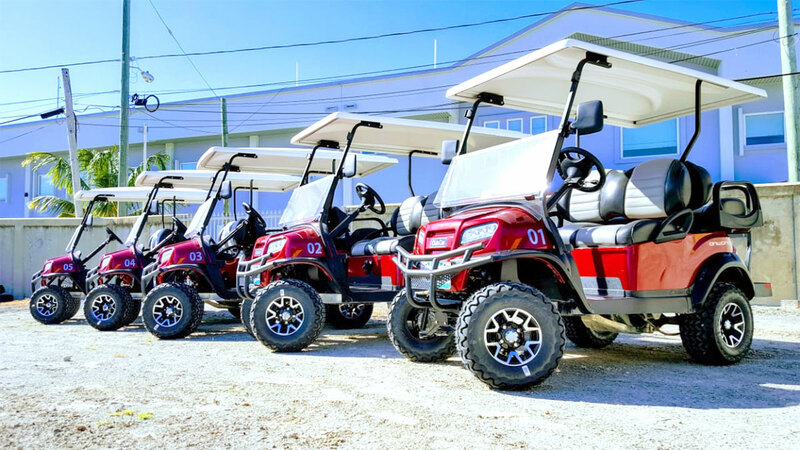 And of course if you are looking to purchase a used golf cart, we have a wide selection of pre-owned carts at very affordable prices. 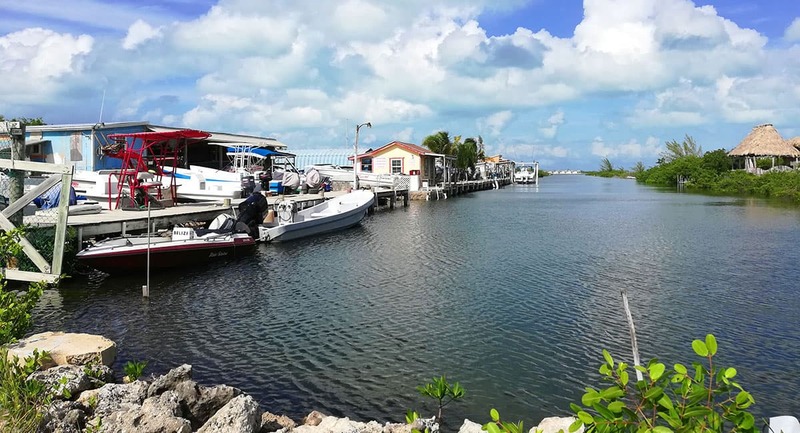 Our Boatyard is the only full service boatyard and marina on Ambergris Caye. We offer complete fabrication of our boats from our wide range of lengths and models along with customizations to make your boat your own. Any boat repair – big or small, we can get the job done. 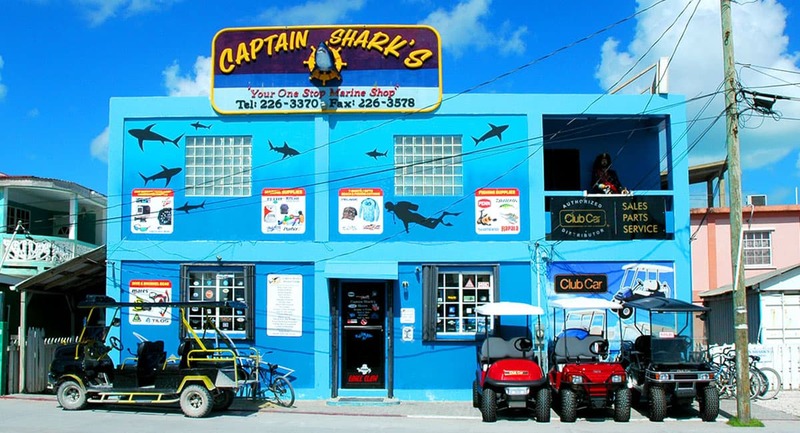 Captain Shark’s Boatyard houses a wide selection of ready to cruise new and used boats. Our marine retail store offers a wide range of marine supplies, lubricants, fishing supplies, diving and snorkeling gear and anything else you might need in marine accessories. Come visit us at our retail location in town by the Airstrip. If you require custom aluminum work for your boat – such as a canopy mount or aluminum repairs – our Boatyard can outfit your boat to your specifications and desires. Our fully trained aluminum workers can create anything you dream up. 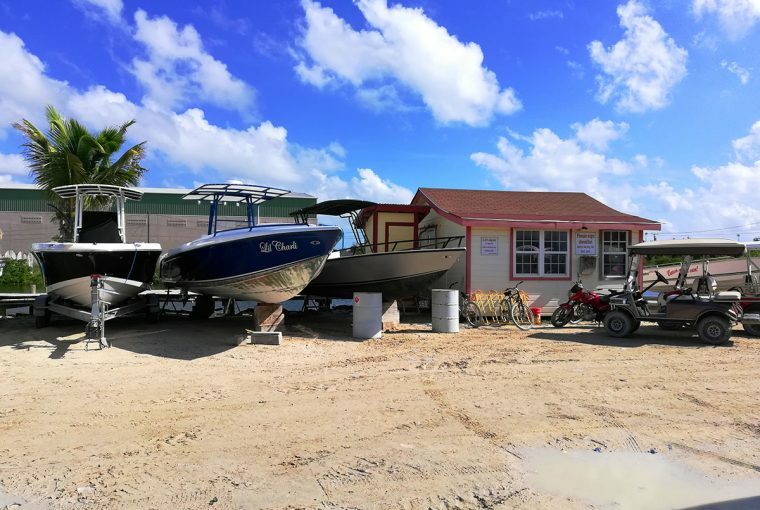 Haul your boat out for painting and servicing or storage in our secure compound! 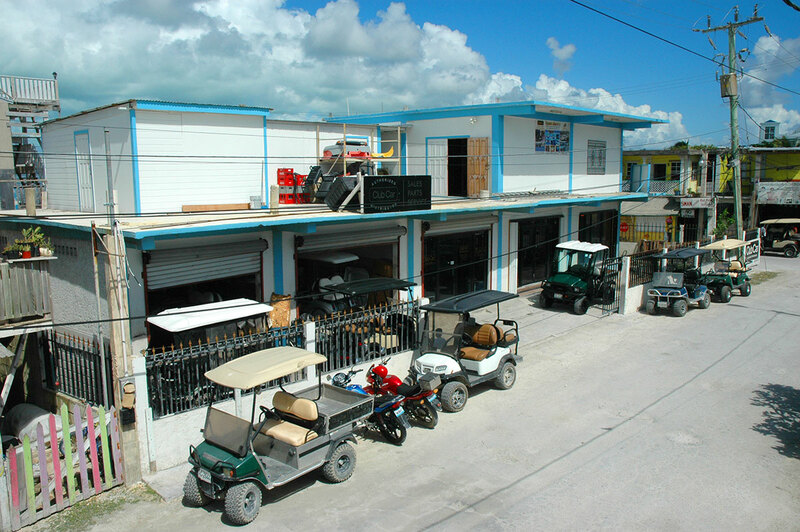 Captain Sharks is an Authorized Distributor of Club Car Golf Carts in Belize. We keep up with the newest golf cart models. 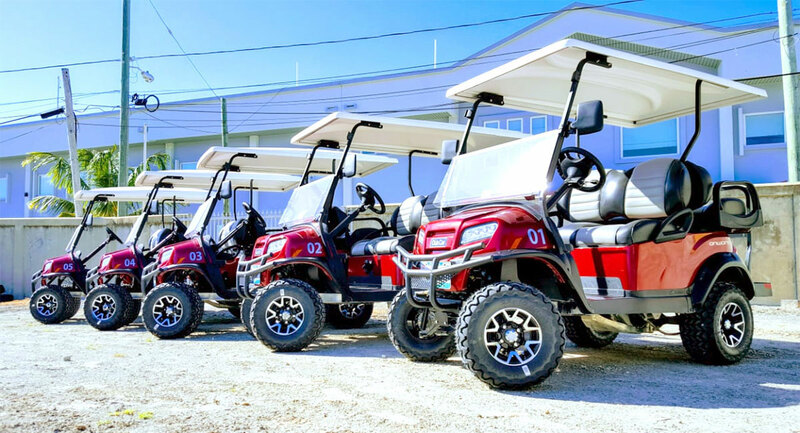 Authorized Club Car Distributor for Belize. 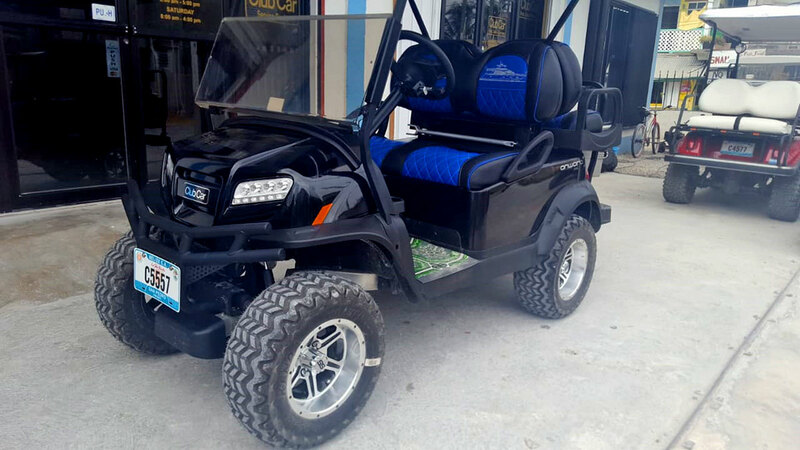 Meet the new golf cart from Club Car, the Onward PTV, a personal transportation vehicle you can customize to match your active lifestyle. 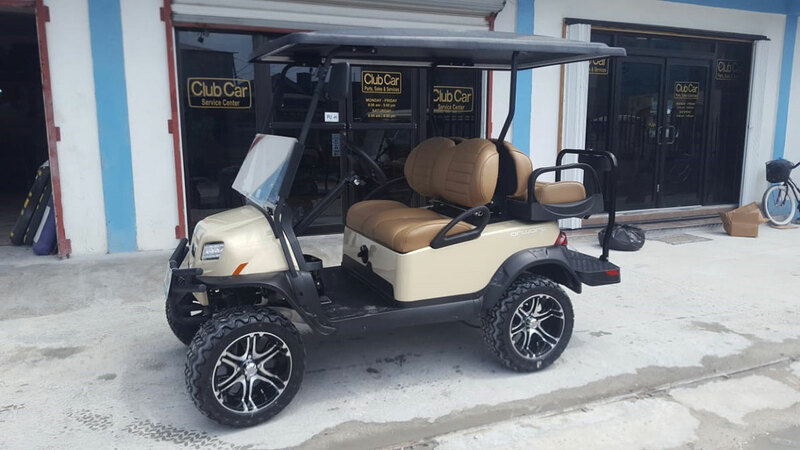 Captain Sharks Club Car Golf Cart Center is your one stop shop for all Club Car Golf Cart needs. 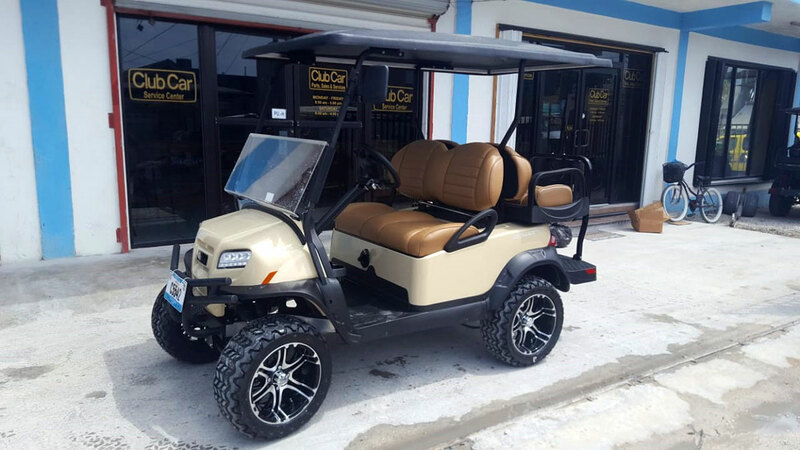 We also customize golf carts to your preference and sell new, remanufactured and used golf carts. We also offer golf cart maintenance and repairs. 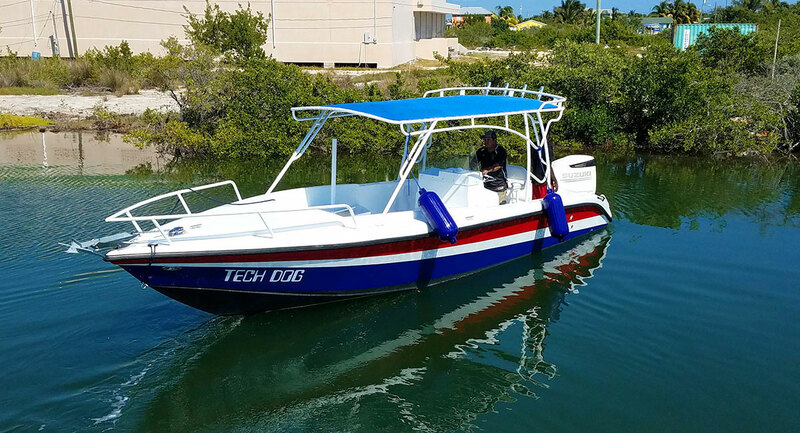 Our "One Stop Marine Shop" has all the parts and accessories for your boat, dive, snorkel and fishing equipment and golf cart parts and accessories. Offering a complete package of services for your boats. From storage, repair and maintenance to customization of boats and building of new boats. We also sell used boats. View our latest blog posts, news and specials and keep up to date with our events.